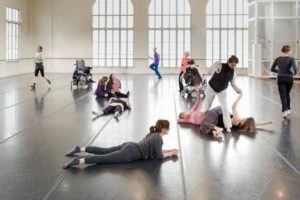 Body Shift volunteers play an important role in helping us to achieve our mission of serving people with and without disabilities with integrated dance opportunities. We occasionally request volunteers to help Body Shift with various volunteer projects, including event support and participation in focus groups. If you are interested in volunteering please email outreach@vsatx.org or call the VSA Texas office at 512-454-9912. Get in touch to start volunteering today! Learn about our ongoing classes, workshops and performances.